back to the 17th century. 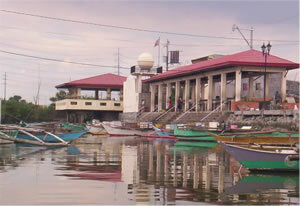 It used to be a barrio of Parañaque, then a sleepy fishing village with only 1,200 residents. 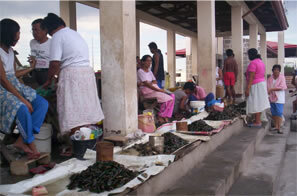 Later simple industries like dye-making, salt-production and handicrafts began to develop in the old town. center of residential subdivisions and large industries. 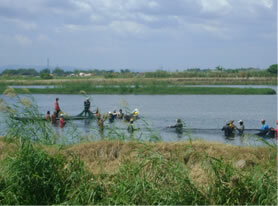 construction in the 1970’s brought about displacement to salt makers and fishermen of Las PIñas. constructed in Bernabe Compound, Pulang lupa 1 to help them in their livelihood. (now National Capital Region) in 1976. Congressman Manuel B. Villar Jr. converting the municipality into a highly-urbanized city. their cityhood in a plebiscite on March 26, 1997, making Las Piñas the 10th city of Metro Manila.